In many cases, the geophysicist must quickly produce results of interpretation as geologo-geophysical sections. Using of special software for creating vector graphics takes many time and require special skills. SectionEditor allows You quickly build geological section with interpretation’s results obtained in Zond package. As input data the software uses a scalable image (SEC), which can be exported from Zond package. 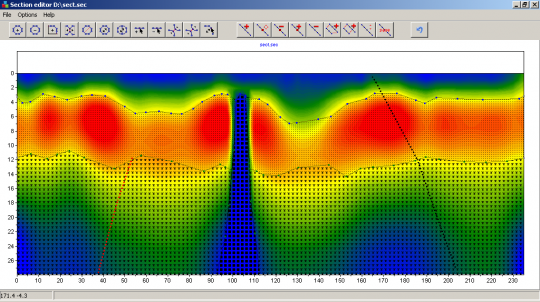 Inversion’s results are background, on which to built geological model. In the process of model’s creating, interpreter selects local objects and layers and assigns specified geological pattern. 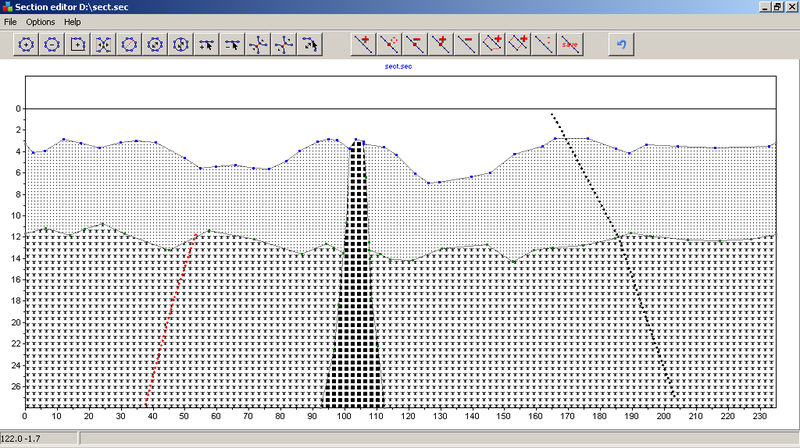 The software also allows you to display the borehole data, which greatly simplifies the process of model building. Due to convenient and intuitively clear interface SectionEditor allows to quickly creating any level of complexity models. 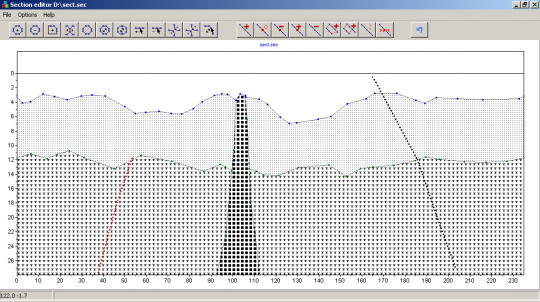 load interpretation’s results in SEC format. assign geological patterns to layers and bodies. Set the horizontal and vertical scale and print image in these scales. Export the image to the standard vector graphics program.